Lesotho is a country in southern Africa. The official name of the country is the Kingdom of Lesotho. Lesotho is an enclaved, landlocked country completely surrounded by South Africa. 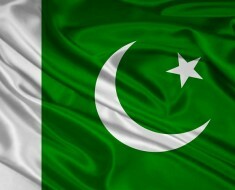 It is one of only three countries in the world that are enclaved within another country; the other two are San Marino and Vatican City, both located within Italy. Lesotho has two official languages: Sotho and English. As of 1 January 2017, the population of Lesotho was estimated to be 2,173,390 people. 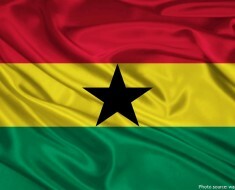 It is the 137th largest country in the world in terms of land area with 30,355 square kilometers (11,720 square miles). 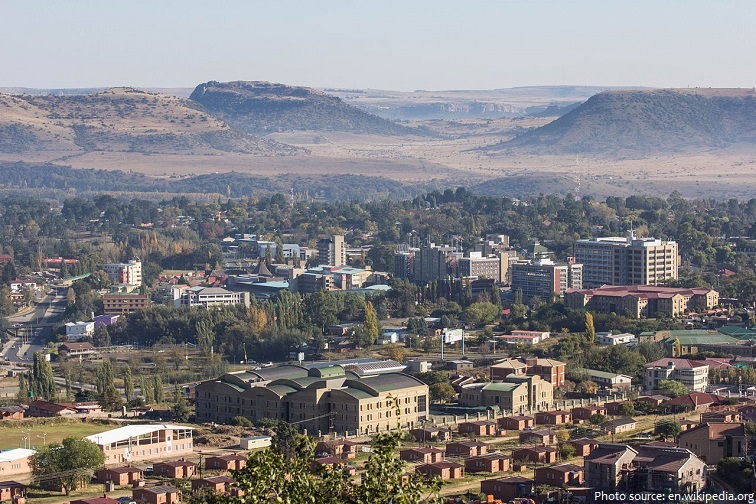 Maseru is the capital and largest city of Lesotho. Located on the Caledon River, Maseru lies directly on the Lesotho-South Africa border. 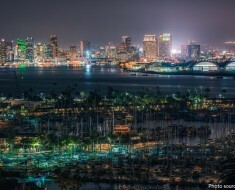 The city is a mixture of Colonial architecture and modern high-rise buildings. The terrain of Lesotho consists of highland with plateaux, hills and mountains. The most notable geographic fact about Lesotho, apart from its status as an enclave, is that it is the only independent state in the world that lies entirely above 1,000 meters (3,281 ft) in elevation. Over 80% of Lesotho lies above 1,800 meters (5,906 ft). Its lowest point is at 1,400 meters (4,593 ft) above sea level, the highest lowest point of any country. 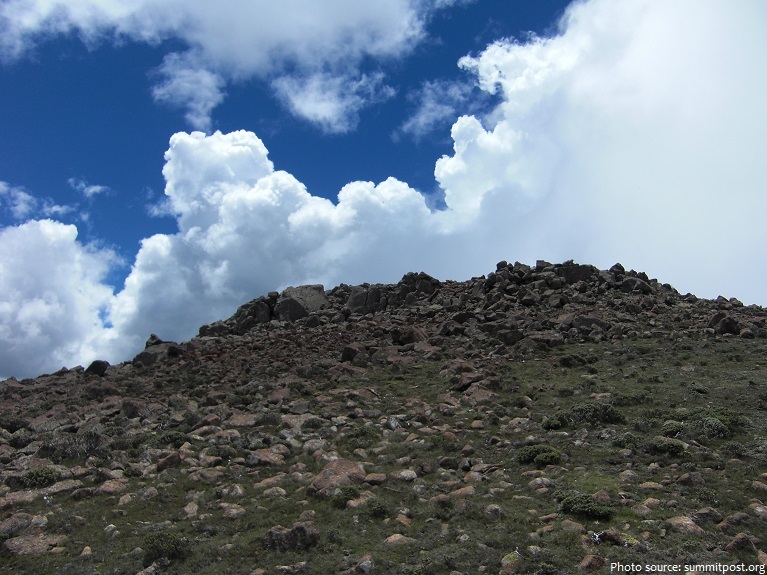 Thabana Ntlenyana, which literally means “Beautiful little mountain” in Sesotho, is the highest point in Lesotho and the highest mountain in southern Africa. 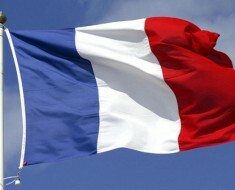 It stands at 3,482 meters (11,424 ft) above sea level. Lesotho does not have many forests. In fact, forests cover less than 1% of the land area. Lesotho is a land of clear blue skies and more than 300 days of sunshine a year. Because of its elevation, the country’s climate is cooler than in most other regions at the same latitude. 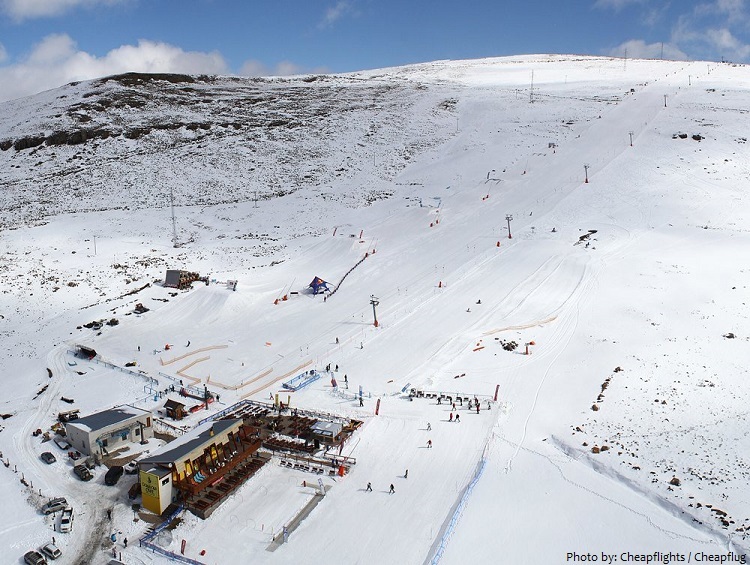 Afriski is the only skiing resort in Lesotho, located 3050 meters (10,000 feet) above sea level in the Maluti Mountains, operating in Southern Africa near the northern border of Lesotho and South Africa. It is one of only two ski resorts in southern Africa. The resort can accommodate about 320 people and offers a 1 kilometer (0.6 mile) ski slope, beginners slope and operates during the winter months (June–August). There are 2 national parks in Lesotho. Ts’ehlanyane National Park is Lesotho’s largest National Park. 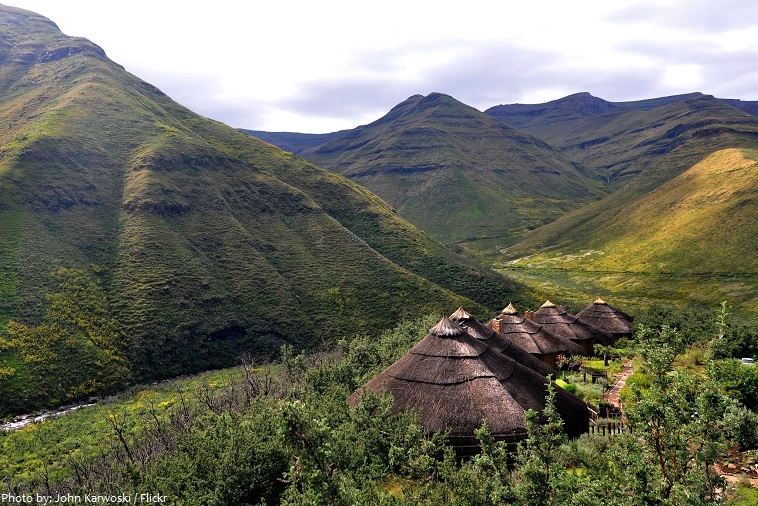 This Lesotho northern park protects a high-altitude, 5,600-metre (18,400 ft) patch of rugged wilderness, including one of Lesotho’s only stands of indigenous forest with a number of rare undergrowth plants that are unique to this woodland habitat. Any trip to Lesotho is highlighted by a visit to Katse Dam. This is the centrepiece of the Lesotho Highlands Water Project which transfers the water of the Lesotho Highlands via an incredible conduit of dams and tunnels through the mountains, eventually dispelling out onto the plains of South Africa’s Free State Province. It was touted as the biggest engineering project in the southern hemisphere in the 1990′s when it was under construction, and the sight of the massive dam wall (highest in Africa) and the deep lake it has created in the mountains is well worth beholding! 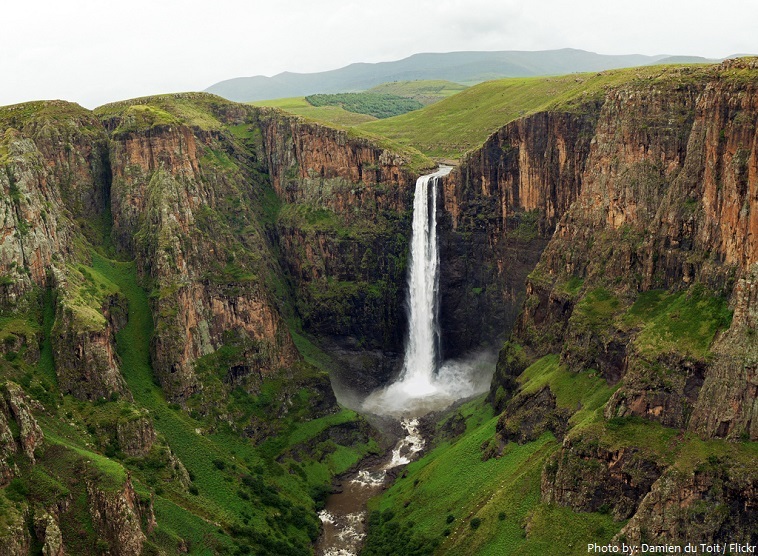 Maletsunyane Falls is a 192-metre-high (630 ft) waterfall in the Southern African country Lesotho. It is located near the town of Semonkong (Site of smoke), which also is named after the falls. The waterfall is on the Maletsunyane River and it falls from a ledge of Triassic-Jurassic basalt. The plunging water creates a reverberating echo when it contact the basin of the falls, and local legend has it that the sound comes from the wailing of people who have drowned in the falls. 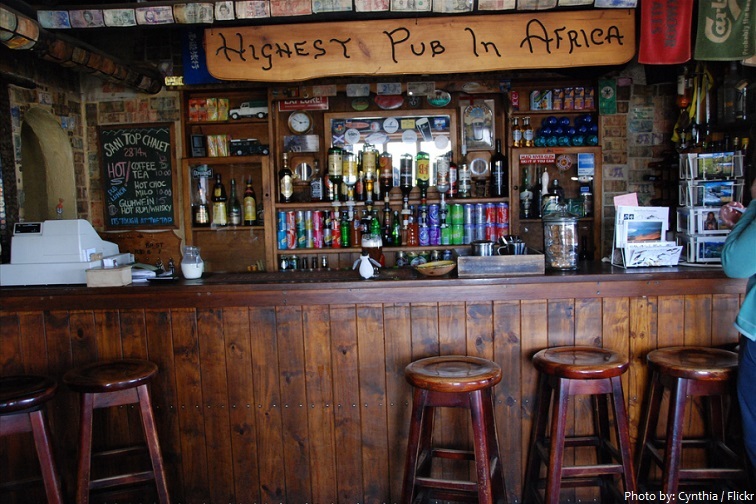 Sani Top Chalet at 2,874 meters (9,429 feet) above sea level is the highest pub in Africa. The Pub is situated at the top of the Sani Pass, a steep 4×4 trail with 27 corners and a number of them are tight switchbacks. Only 4×4 vehicles are permited to use the pass. The present Lesotho, then called Basutoland, emerged as a single polity under King Moshoeshoe I in 1822. Having escaped the Zulu, Moshoeshoe I brought his people to the stronghold of Butha-Buthe, and then the mountain of Thaba-Bosiu (about 20 miles from what is now the capital of Lesotho, Maseru). But he had not yet found peace. Moshoeshoe’s territory was being picked off by the trekboers, and he approached the British for aid. 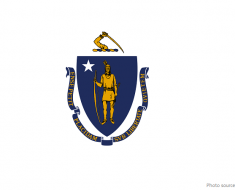 In 1884 Basutholand became a British Crown Colony. 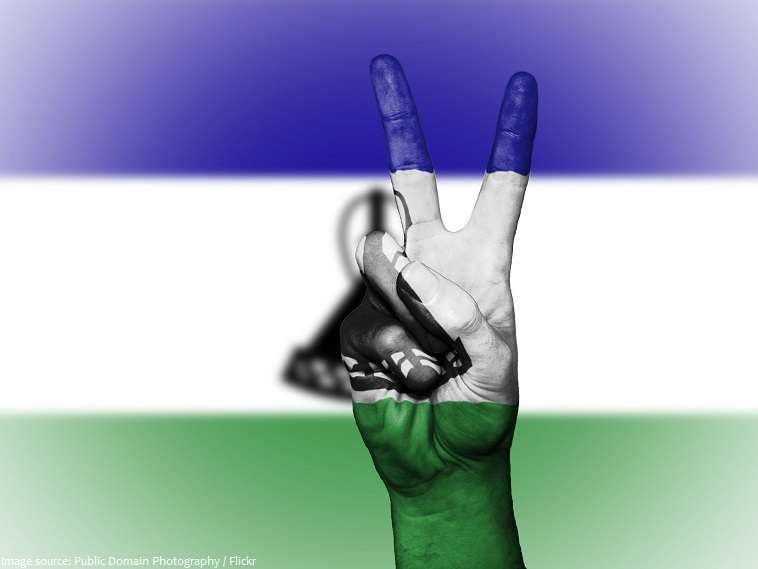 Lesotho gained independence from Britain on 4 October 1966. 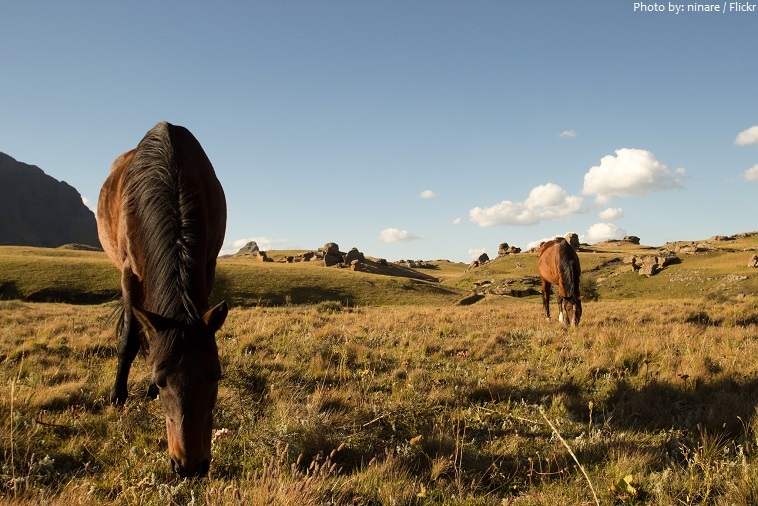 The economy of Lesotho is based on agriculture, livestock, manufacturing, hydroelectric power and mining. Even though very little of Lesotho is covered in water, the rivers that run across the country are an important part of Lesotho’s economy. Much of the country’s export income comes from water, and much of its power comes from hydroelectricity. The main mineral resource is diamonds from the Letseng diamond mine in the Maluti mountain range. The mine produces very few stones, but has the highest dollar ratio per carat of any diamond mine in the world. 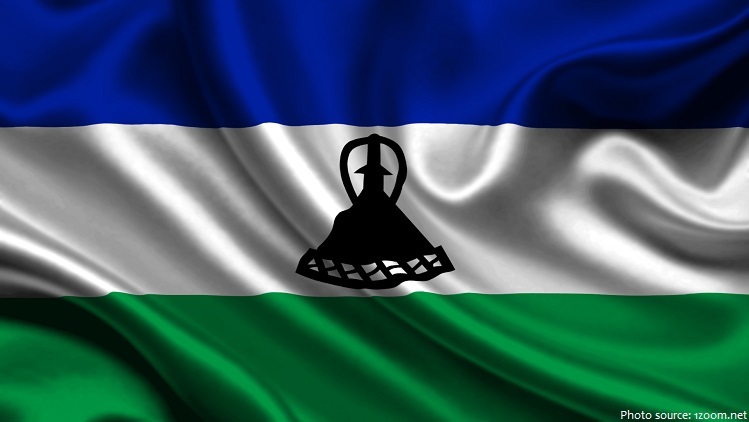 Lesotho is ruled by a constitutional monarchy and is one of the 3 remaining kingdoms in Africa (the others are Morocco and Swaziland). The name Lesotho translates roughly into the land of the people who speak Sotho. The population of Lesotho is estimated to be around 90% Christian.